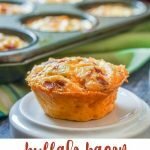 Buffalo Bacon Egg Muffins - low carb, gluten free breakfast! 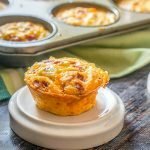 If you are looking for an easy grab and go breakfast, try this low carb buffalo bacon egg muffins. Make a big batch and store them in the refrigerator. Just heat up for about 15 seconds in the microwave and you have a healthy low carb breakfast! Each muffin has 115 cals and 1.3g net carbs. You might really like my low carb savory breakfast cookies too! I don’t know what I have more of, buffalo recipes or egg recipes. Perhaps it’s because both are low carb ingredients that I love! 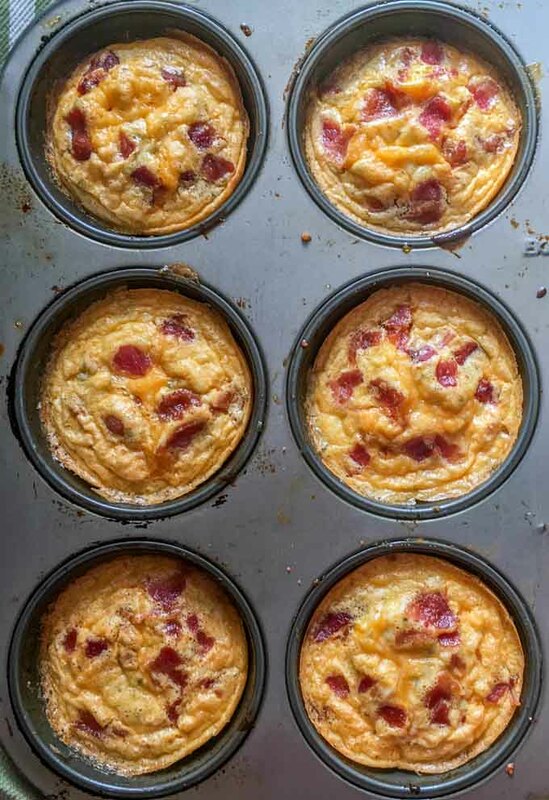 My biggest coupe with this recipe is that my husband ate these buffalo bacon egg muffins for breakfast the other day. He does not eat eggs and they consist mostly of eggs! They are very tasty and only have 115 calories and 1.3g net carbs. If you are looking for low carb breakfast foods, I have 69 low carb breakfast recipes on this site! I have everything from savory waffles, omelets, puddings, casseroles, bagels, smoothies and more. Two of my most popular posts are my low carb breakfast pizza and my low carb chia breakfast pudding. So check them out if you are interested. 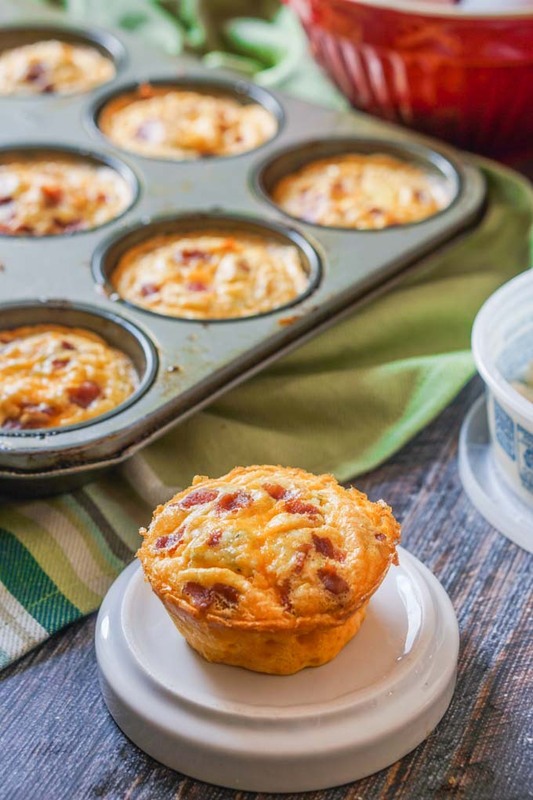 Low carb buffalo bacon egg muffins make great freezable breakfasts. This is mostly an egg based muffin and I like to blend the eggs in my Vitamix blender. So I placed the eggs, hot sauce and garlic in a blender and got them nice and smooth. Then I poured them into a well greased muffin pan. I like to grease my muffin pans with a spray and then use my finger to makes sure it gets everywhere. Now it time for the cheeses. I added in the cheddar cheese and mixed them in the muffin tins. Then I sprinkled blue cheese and bacon on top. Bake them for about 15 – 18 minutes until set on top. 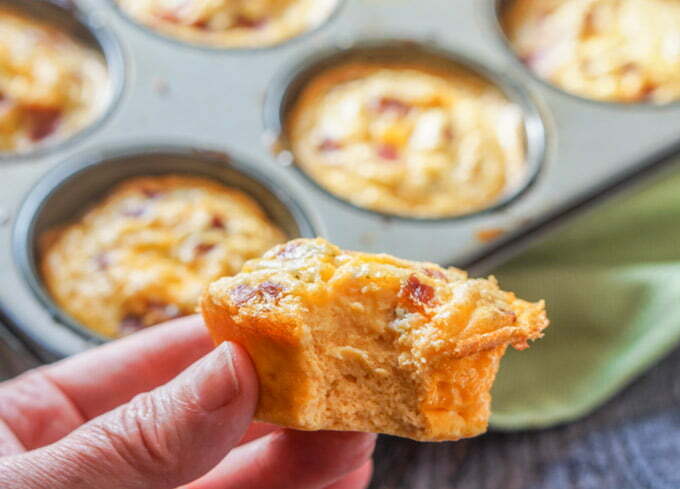 Use a blender for the eggs and hot sauce and then add the cheese after you pour in the muffin tin. Take them out and let them cool and continue to set up more. You can eat them after they’ve cooled refrigerate or freeze them for later. Make sure to let them cool before freezing. I use the blender because I wanted to make sure the eggs were uniform and not white in some places and yellow in others. Cheddar and blue cheese both go well in this recipe but if you don’t like the blue cheese you can omit it. You can use more hot sauce if you like in the batter but you can also sprinkle some on the top before eating. To reheat these from frozen, place in the microwave and cook for up to 1 minute when the egg is heated through. Make sure to grease the tins well. Eggs can be a sticky ingredients to get off. 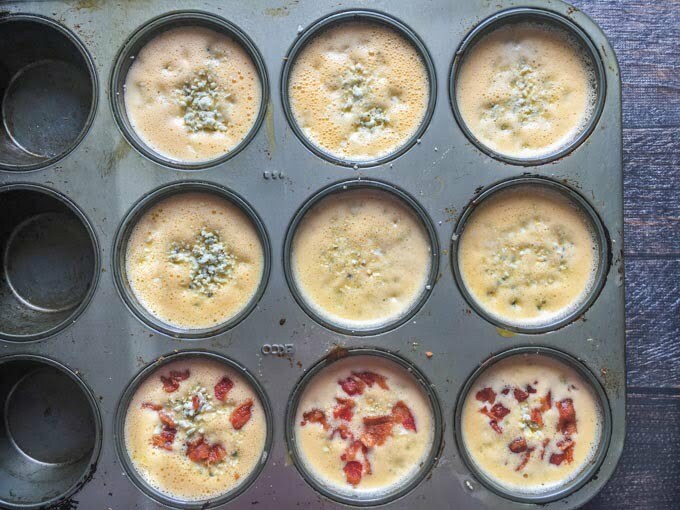 To get baked on eggs off a muffin tin, just soak it for awhile and it should come clean easily. 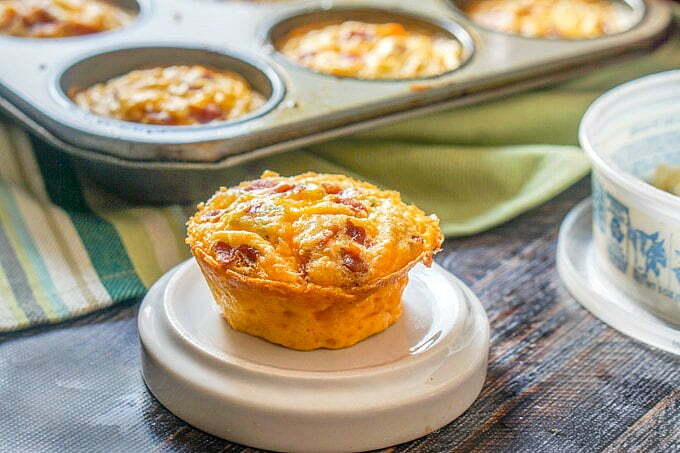 These low carb egg muffins only use eggs, cheeses, hot sauce, garlic and bacon. No flour! Below you can see what they look like. There is no wheat or nut flour in these at all and they came out pretty dense which I was happy with. Also these are pretty big muffins so 1 is enough for me for breakfast. 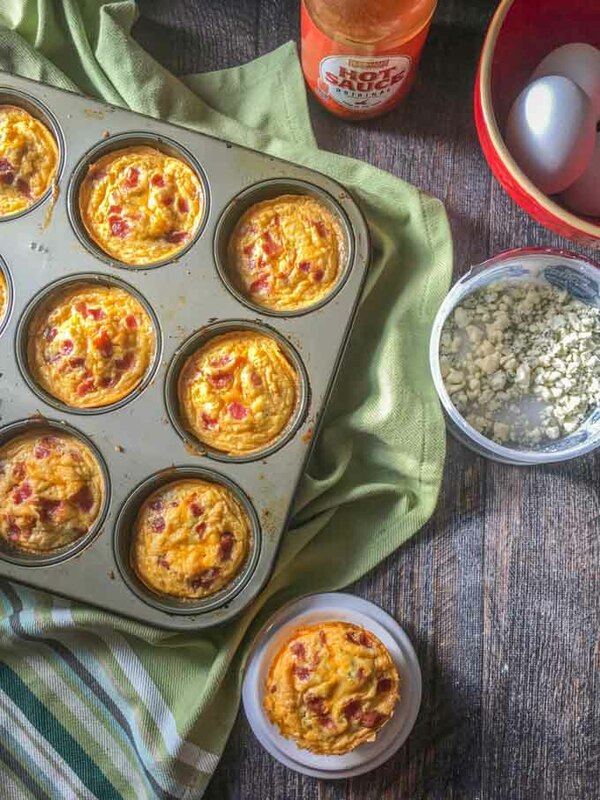 The egg muffins are dense and filling. Great for a grab and go breakfast. How long can you store these for? They look yum! Hi Jacqui, I would say a few days in the refrigerate or you can freeze them for a few months. Hope you like them! I love everything with Buffalo sauce but it would never cross my mind to add it to egg muffins. What a great idea! I’ll be making them often. Buffalo sauce is delicious with eggs….I use it with omelets too! 15-second breakfast in the morning? Yes please. BUFFALO BACON breakfast? Even better. A quick breakfast is a must have in our home. It’s always so rushed in the mornings. 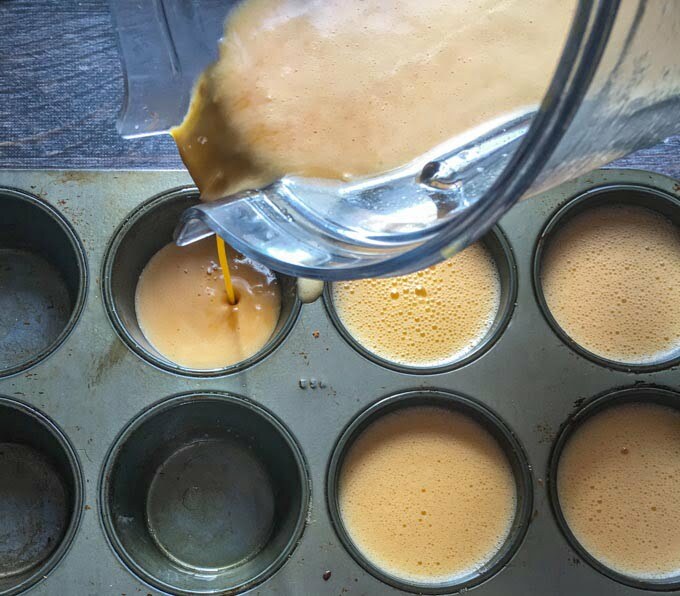 We are loving egg muffins for an easy breakfast. There are so many different things you can add too, and bacon is always a good addition. Everything is better with bacon. LOL! I love grab and go muffins. These make life so much easier in the mornings. These look super easy to make. I agree….and they are super easy! Oh, how perfect!! I love all things Buffalo-style and would be the happiest ever to start my day out with a little spice. These look wonderful!